#2 Brush Off Fall-Out // I learned this from Michelle Phan! She was doing a heavy eye-look, so she did her eyes first. Glitter is known for creating fall-out onto the face. She used the brush to wipe away the glitter of her cheek. Fancy, right? #3 Brush Product Out of Eyebrows // Usually when I apply my foundation and powder, I tend to get it on my eyebrows. I always use the brush to remove majority of the product out of my eyebrows. #4 Lip Exfoliater // Many people think this is weird, but I do this when I am desperate for smooth lips. I brush over my lips, it can be a bit harsh, to get somewhat decent lips. 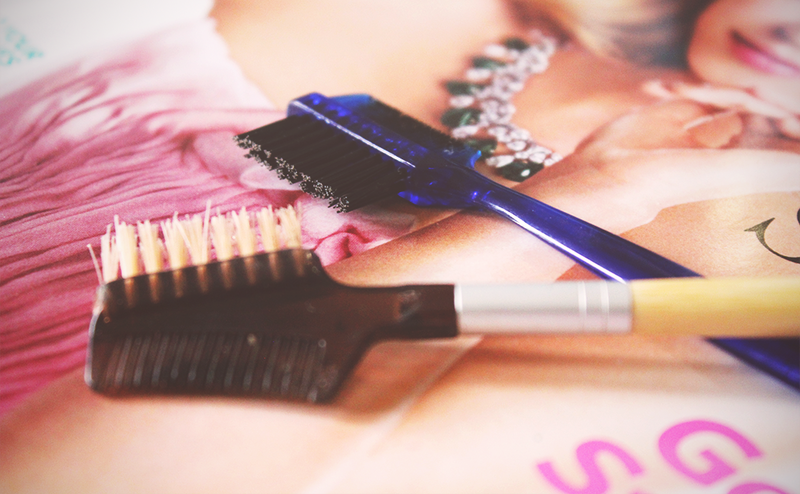 How do you use your Lash and Brow Comb?